This framed etched piece includes an 8x10 photo of Pittsburgh Penguin star centre Sidney Crosby raising the Stanley Cup after his Pittsburgh Penguins defeated the Nashville Predators to win their second consecutive championship. Also featured is a 2017 Stanley Cup Champion puck signed by Crosby himself and is officially licensed by the NHL & NHLPA. 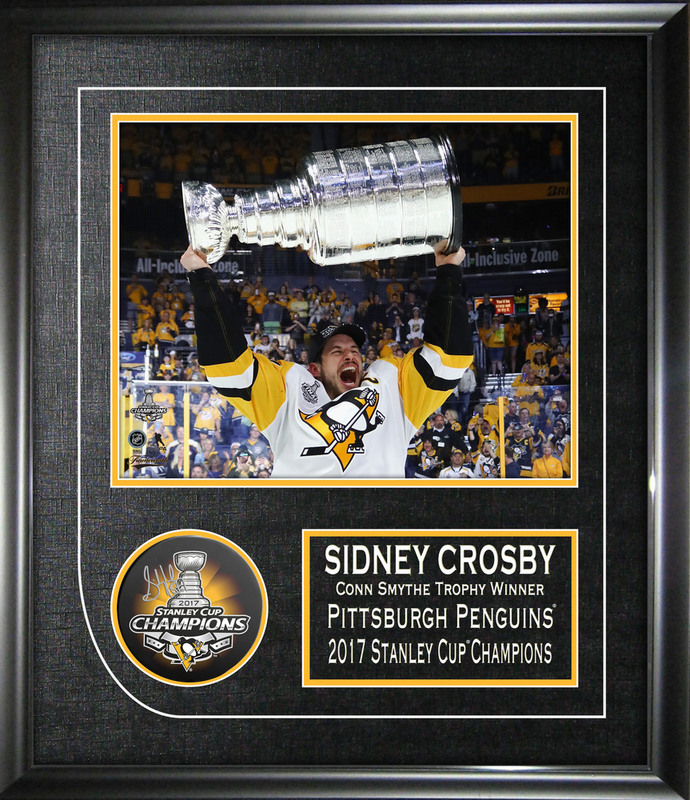 Frameworth is the exclusive provider of Sidney Crosby autographed memorabilia. A hologram and certificate of authenticity are included. FINISHED APPROX SIZE 15x17"